On 21 December 1976, Argo Merchant broke apart and emptied its entire cargo of fuel oil, enough to heat 18,000 homes for a year. “I think that most people will tell you that changes in marine safety are almost exclusively disaster-driven,” agrees Dr. Josh Smith, a professor at Kings Point and interim director of the American Merchant Marine Museum. It hasn’t always been that way. Actually, it’s been worse. Despite some efforts early on to exert some control over shipping practices, going to sea has been accepted as a risky undertaking as long as man has floated vessels. It was so dangerous an occupation that “the unpredictability of the weather and the vast power of the sea itself seemed so great that for centuries it was assumed that little could be done to make shipping safer,” observed the sole globally recognized facilitator of sea safety – the International Maritime Organization (IMO). That’s because, as Francis Stokes put it, “The sea finds out everything you did wrong.” Finishing that thought is Anton Chekov, who observed that “The sea has neither meaning nor pity.” In short, the sea is not your friend. While the bulk of modern safety regulation and policy followed the establishment of the Inter-Governmental Maritime Consultative Organization as an arm of the United Nations at the 1948 Geneva Conference (which later became the IMO in 1959), the defining moment in modern maritime safety is the 1912 sinking of the “unsinkable” RMS Titanic after hitting an iceberg on her maiden, and only voyage. The Titanic may have gotten the ball rolling, but the 1934 sinking of the Morro Castle off the New Jersey coast, which left 126 dead, also left quite a safety legacy in its wake. The ship, which went up in flames, not only led to new fire suppression, protection and control regulations and equipment requirements, it served as the impetus for both the U.S. Merchant Marine Act of 1936, which created the Maritime Commission, and the adoption of a significant upgrade to SOLAS in 1948. It also led to federally mandated officer training requirements and eventually, to the establishment of the federal maritime academy at Kings Point, N.Y.
• The Torrey Canyon oil spill off French and Cornish coasts in 1967, which led to the International Convention for the Prevention of Pollution from ships (MARPOL) in 1973, and is credited with moving the IMO into environmental and legal issues with the Civil Liability Convention of 1969. Activated in 1975, that policy was adopted to ensure that adequate compensation is available to victims of oil pollution resulting from maritime casualties involving oil-carrying ships, and places the liability for such damage on the owner of the polluting ship. 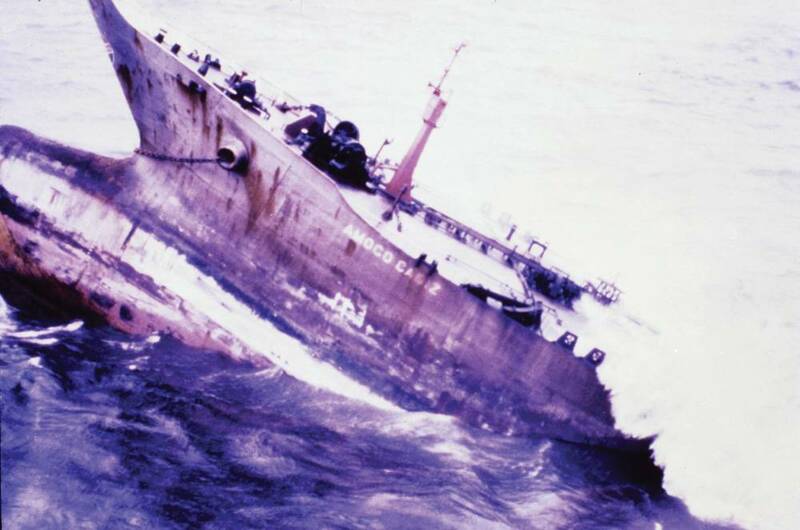 • The Amoco Cadiz tanker ran aground due to a steering gear failure on March 16, 1978, three miles from the coast of Brittany, France. It split in three before sinking, creating the largest oil spill of its kind in history to that date – 1.6 million barrels. Public outcry and political pressure resulted in significant updates to both MARPOL and SOLAS, and the addition of safety and pollution audits that led to in 1982 to the Paris Memorandum of Understanding (Paris MoU), which established Port State Control. The beauty of port state control is that it has enabled an international port inspection system that makes it impossible for non-compliant ships to hide. It also led to the International Convention on the Standards of Training, Certification and Watchkeeping for Seafarers (STCW) in 1978. • The Marine Electric, a retrofitted WWII rust bucket that sank in a storm off the Virginia coast in 1983 and led to what many historians say are some of the most important safety reforms in the second half of the 20th century. The disaster called out lax U.S. Coast Guard inspection polices, changed the face of the U.S. Merchant Marine by leading to the almost immediate scrapping of 70 similar WWII-era vessels, mandated survival suits and led to the creation of the U.S. Coast Guard Helicopter Rescue Swimmer Program. • The capsizing of the Herald of Free Enterprise in 1987 minutes after leaving the harbor in Zeebrugge, Belgium. Incredibly, the bow door was left open, resulted in the loss of 193 out of the 539 passengers and crew. It also led to the adoption of the Guidelines on Management for the Safe Operation of Ships and for Pollution Prevention, or the International Safety Management (ISM) Code, which was designed to prevent damage to life and the environment at sea, by requiring each vessel to have a working, audited, Safety Management System (SMS). It also required shipping companies to have a license to operate. • The Exxon Valdez ecological disaster of 1989, which led to the first Port state establishment of policy with international repercussions - the Oil Pollution Act (OPA) of 1990 in the U.S., which mandated that all tankers entering U.S. waters be double hulled – a requirement that eventually became the rule internationally, especially following several oil spills in European waters. OPA greatly increased federal oversight of maritime oil transportation, toughened liability and provided greater environmental safeguards. It also put the spotlight on drug abuse in the merchant marine and led to related programs and reforms. • The Argo Merchant: In December 1976, the Liberian flagged tanker ran aground in Nantucket, Mass., resulting in the worst U.S. oil spill (7.6 million gallons) up to that date. According the Coast Guard, the cause was the result of ineffective vessel navigation due to faulty gyrocompass, erratic RDF and human error in the ineffective use of standard and secondary navigation – exacerbated by a winter storm. The spill led to the creation of the Port and Tanker Safety Act of 1978, which established vessel traffic services, provided for greater supervision and control of vessels in U.S. waters, and instituted an inspection program for tank vessels carrying oil and hazmat. It also helped lead to the development and adoption of MARPOL Annex 1, and led to a host of new CFR regulations in the U.S., including for radar requirements depth finders and required pre-arrival navigation tests. • The SS Yarmouth Castle: The Panamanian-flagged, largely wood vessel caught fire on Nov. 13, 1965, and was quickly abandoned by most of her crew, resulting in 90 deaths. No alarm was sounded, no distress call sent out, nor did the sprinklers work, the windows open, nor were all the lifeboats accessible. Less than half were launchable and the master and crew were the first to abandon ship. It led to a major update of SOLAS, and a mandate that any vessel carrying 50 overnight passengers or more had to be built entirely of noncombustible materials or steel. Retroactive fire and safety amendments went into effect for all ships in 2010. 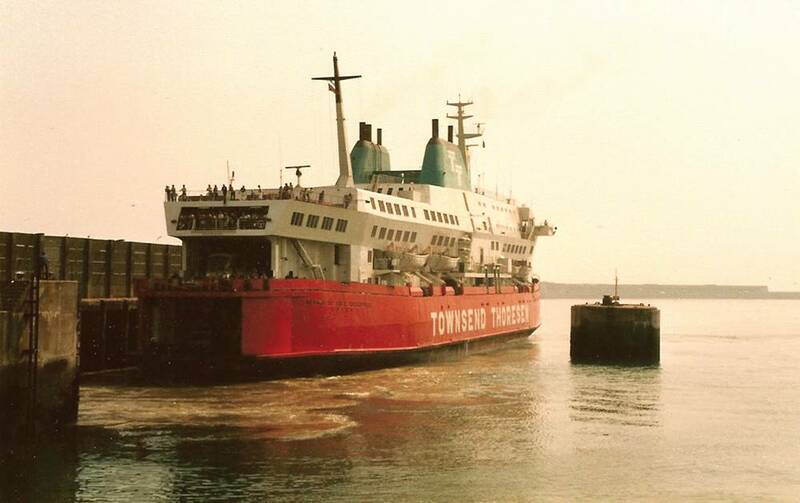 • The MS Estonia: The RoRo Ferry sank in heavy seas Sept. 28, 1994 in circumstances very similar to the Herald of Free Enterprise – in this case the bow door failed, letting in too much water, sinking the boat, and killing 852 people out of the 1,000 on board. To improve the survivability of ferries, it also led to changes in the design parameters so that ferries can take up to a half meter of water on the car deck before the ship starts to list. Increasingly, there has been a growing focus on environmental issues, accelerating in the late 1970s and onward, as spills mounted, each seeming worse than the last. There was a palpable shift in focus to combating pollution, and providing adequate training and certification of crews. Even the oil companies got into the act, proactively launching spill response coalitions in both Europe (1985) and the U.S. (1990), to respond to catastrophes and providing training. It all started with the Torrey Canyon. “In the same way the Titanic led to the development of safety regimes, the Torrey Canyon stimulated the development of international environmental regulations,” said ICS’ Bennett. The International Convention for the Prevention of Pollution from Ships (MARPOL) is one of the earliest, and most influential international environmental safety convention. In the wake of the Torrey Canyon and other spills, it was designed to protect the marine environment with the hopeful goal of “completely” eliminating pollution by oil and other harmful substances, and by minimizing the accidental discharge, dumping or exhaust of oil and other substances. To achieve its objectives, MARPOL provides a detailed set of regulations, covering issues from vessel construction and operation to the discharge of sewage and other substances via a set if six technical Annexes. It was signed in 1973, but it took so long to get the necessary ratifications that the original set of protocols were merged with a 1978 update fueled by a number of accidents in 1976-1977. It finally became effective in 1983, 16 years after the outrage over Torrey Canyon. The international community has come around: o date 152 states, representing 99.2 percent of the world’s shipping tonnage, have signed on. Similarly, the Amoco Cadiz oil spill a decade later was “pretty monumental” on the pollution side of [regulations],” he added, noting that six annexes later, MARPOL today covers every form of pollution from tankers. But the real game changer has been the fallout from the March 24, 1989, Exxon Valdez spill, which dumped 11 million gallons of oil into the pristine inlet, creating the country’s worst ecological disaster until the Deep Water Horizon well blow out April 20, 2010, in the Gulf of Mexico. 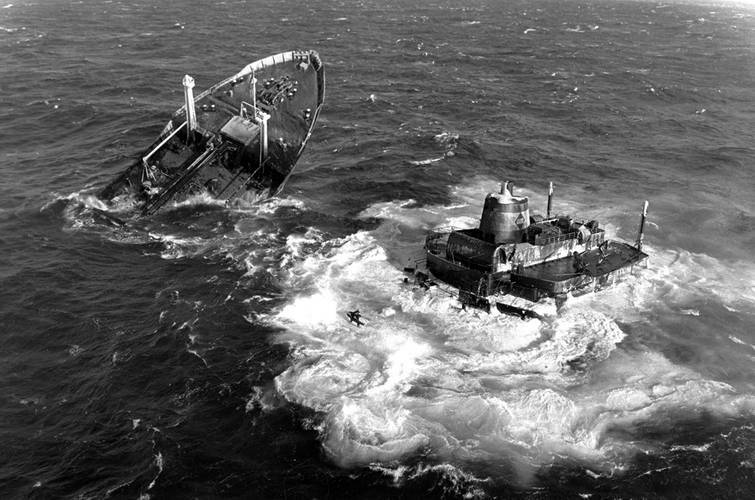 The U.S. Coast Guard considers the Valdez to be one of the largest human-caused disasters and cites as contributing causes to the accident, ineffective lookout, poor navigational watchkeeping, inoperable radar, reduced manning, lack of shore side supervision and loss of situation awareness, among other things. The U.S. responded with the Oil Pollution Act (OPA) 90, essentially the first time a Port State had acted on its own to create and enforce rule that would affect global shipping. OPA created a comprehensive program to address prevention, response, liability and compensation for oil pollution incidents within U.S. waters. It set requirements for construction (double hulls), crew licensing and manning, created the national Oil Spill Liability Trust Fund (up to $1B per spill incident), mandated contingency planning and the development of disaster response plans from tankers, ties driving records with mariner licenses and mandated post-casualty drug and alcohol tests. It also decreed that all tankers entering U.S. water after a certain date be double hulled. “The whole world felt that change,” said Bennett. And resisted at first. But a pile up of oil spills in European waters, particularly the Prestige and the Erika, brought an outraged EU in line with U.S. thinking quickly. While not a perfect solution, the move to double hulls added to the level of environmental protection. “It’s why the record of the industry is better than it was in 1990, never mind 1970. 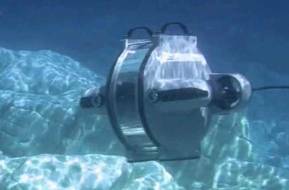 It’s a combination of technological innovation and improved operating practices,” Bennett said. Indeed, figures from multiple sources show a steady drop in oil spills. U.S. regulators also boosted the oil company pollution compensation ceiling while making the cost of having an accident “so prohibitively expensive that the industry got seriously inventive to avoid this liability,” said Bennett. On the inspection front, the Marine Electric, and indirectly the SS Pendleton and SS Mercer, were game changers as well. All three were aging World WWII ships retrofitted to carry coal and other cargo. All three split in two, and sank. Eerily, the Pendleton and Mercer broke up almost simultaneously in almost the same spot off Cape Cod in November of 1952. With great difficulty and heroism, most of the crews were saved. As an example of what the Coast Guard was letting slide by, Frump said that the cargo hatches for the Marine Electric were approved when it was in drydock – and the hatches were 200 miles away. “It was that horrible and terrible.” When the hatches did arrive, they had 200 holes patched with expoxy. “You can’t have planes falling out of the sky, but apparently, you can have ships breaking in two over a period of 40 years, before any serious action is taken,” he said. Cusick’s decision to speak up, coupled with a scathing report from the Coast Guard’ s own investigatory board headed by Captain Domenic A. Calicchio, changed all that. The Coast Guard was forced to reexamine and restructure its inspection policies and did an about face on WWII-era ships, establishing safety standards for older ships, essentially sending 70 of them to the scrap yard in short order. The inability to extract the exhausted Marine Electric crew from the frigid waters by helicopter lead to the launch of the Coast Guard’s elite helicopter rescue swimmer program in October 1984, whose motto is, “So that others may live.” Despite the years of work often involved in getting a proposed safety change through the IMO process of member state committees and debate, IMO acceptance and individual government approvals, followed by typically phased-in enactment, the process works. Figures from multiple sources, including the “Safety and Shipping 1912-2012” report from Allianz Global Corporate & Specialty, the International Union of Marine Insurance, and the 2012 report, “15 Years of Shipping Accidents : A Review for WWF,” from Southampton Solent University, show that the incidence of Marine accidents is significantly down, and has been trending down for some time now. Looking forward, and some might say, very much in a proactive sense, the U.S. National Transportation Safety Board (NTB) hopes to see a shift in focus to what it sees as more key to the future of marine safety - the human element. Aging ships, bad weather, high seas traffic and runaway cargoes aside, it’s estimated that 80-85% of all marine accidents can be traced back to human error. And that is what many observers think the next generation of IMO protocols should target. “I think some of the more recent accidents highlight arguable the more challenging element to address – the human element,” said Tracy Murrell, NTBS director of marine safety. “‘Blame the captain and fire that person.’ I always cringe when I see that, it’s just the easy way out. Seafarers want to do better; they don’t want to go to work and cause accidents,” says Tim Donney, global head, marine risk consulting, Allianz Global Corporate and Specialty. The biggest change he’s seen in 35 years of experience in global marine surveying and loss control is an evolution in how the industry approaches maritime safety. It’s moving from engineering fixes to problems, to addressing the human factors, he says. The following are the major international shipping conventions, adopted by the International Maritime Organization (and the International Labour Organization) concerning safety and pollution prevention. However, many other maritime instruments concerning more specific issues are also in force worldwide. • SOLAS (International Convention for the Safety of Life at Sea, 1974) lays down a comprehensive range of minimum standards for the safe construction of ships and the basic safety equipment (e.g. fire protection, navigation, lifesaving and radio) to be carried on board. SOLAS also requires regular ship surveys and the issue by flag states of certificates of compliance. • MARPOL (International Convention for the Prevention of Pollution from Ships, 1973/1978) contains requirements to prevent pollution that may be caused both accidentally and in the course of routine operations. MARPOL concerns the prevention of pollution from oil, bulk chemicals, dangerous goods, sewage, garbage and atmospheric pollution, and includes provisions such as those which require certain oil tankers to have double hulls. • COLREG (Convention on the International Regulations for Preventing Collisions at Sea, 1972) lays down the basic “rules of the road”, such as rights of way and actions to avoid collisions. • LOADLINE (International Convention on Loadlines, 1966) sets the minimum permissible free board, according to the season of the year and the ship’s trading pattern. • ISPS (The International Ship and Port Facility Security Code, 2002) includes mandatory requirements to ensure ships and port facilities are secure at all stages during a voyage. • ISM (The International Safety Management Code, 1993) effectively requires shipping companies to have a licence to operate. Companies and their ships must undergo regular audits to ensure that a safety management system is in place, including adequate procedures and lines of communication between ships and their managers ashore. • STCW (International Convention on Standards of Training, Certification and Watchkeeping for Seafarers, 1978/1995/2010) establishes uniform standards of competence for seafarers. • ILO 147 (The ILO Merchant Shipping (Minimum Standards) Convention, 1976) requires national administrations to have effective legislation on labor issues such as hours of work, medical fitness and seafarers’ working conditions. This was superseded by the ILO Maritime Labor Convention, 2006) which entered into force on 30 August 2013.